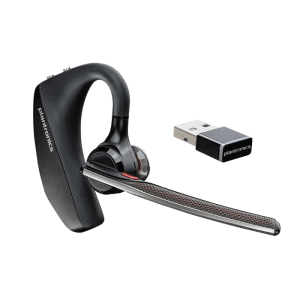 Office & Contact Center - Headsets Direct, Inc. 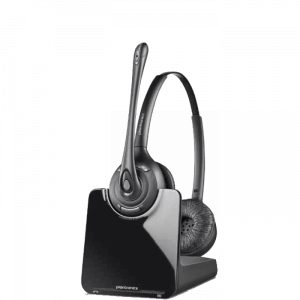 If you are considering headsets for your business or office, taking the time to find a compatible model that is comfortable for all-day wearing and includes support from a supplier, should you need support or warranty assistance, is critical. 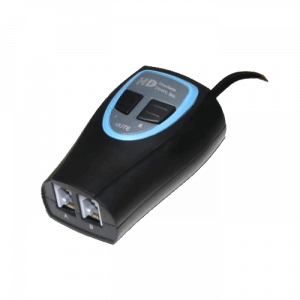 Many companies try to forgo the support aspect to save a few dollars, but what they realize, after the fact, is lowest price also means lowest support. 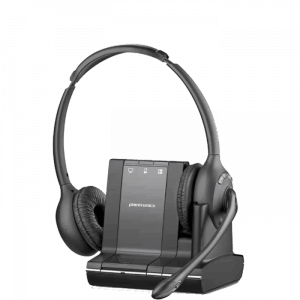 Without a vendor to guide you through the pitfalls of office headsets, you will waste hours of your time trying to find solutions for your contact center headsets, when you could have taken care of your daily business duties instead. 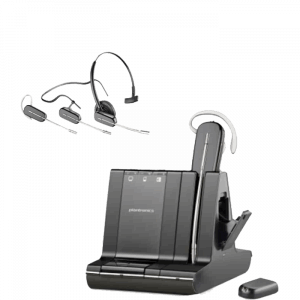 When choosing headsets, you first must decide whether a corded or wireless solution best suits your needs. 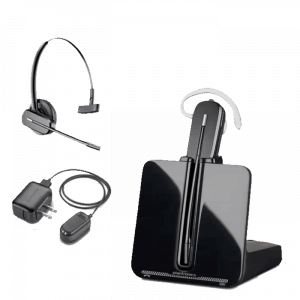 Generally speaking, call center headsets will cost around $100, which includes the headset and bottom connecting cable. 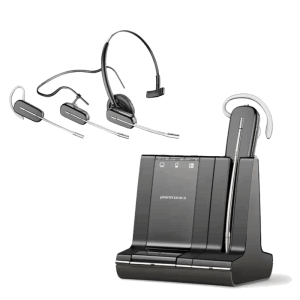 Wireless contact center headsets will cost about $250, which includes the headset, base, and EHS/Lifter for remote answer/hang-up capabilities. 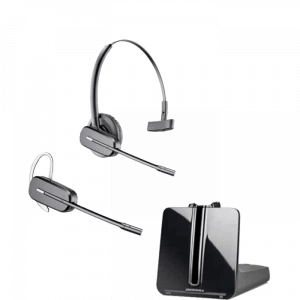 Thus the first decision is all about your budget. 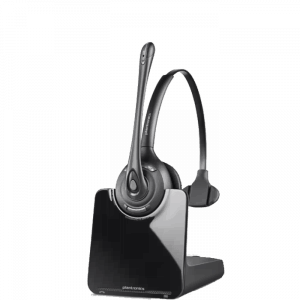 Wireless technology has advanced to the point where there is virtually no drop off in call quality when compared to corded models. 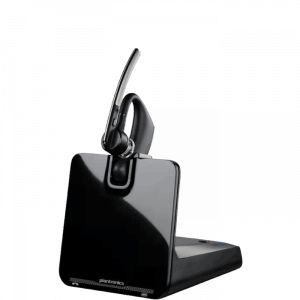 The question becomes if you are paying 2½ times the cost for wireless, do you get 2½ times the value? In most situations, the answer is yes. 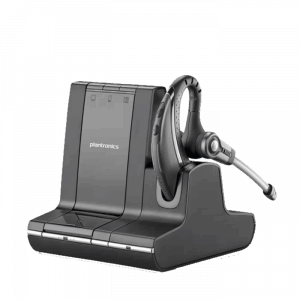 Being able to cut the cord and roam your office while continuing the call is invaluable to most. 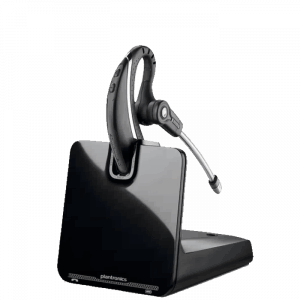 You simply get more done and will see a productivity boost in your busy day. 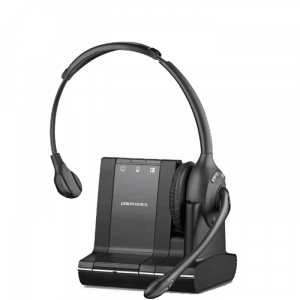 If the cost of wireless isn’t in your budget, corded contact center headsets will still offer a modest productivity boost. 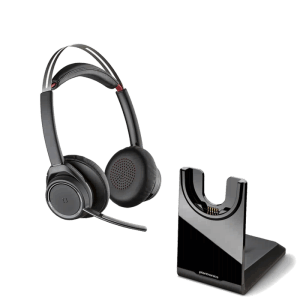 You will still gain the benefit of being able to write and type hands-free without cradling your handset against your shoulder thereby reducing neck and shoulder pain.